Businesses have, for a long time, had access to data, and until the last few years have been outsourcing to data analysts to give them easier to understand insights into how useful their data is. The interest in today’s data analytics is unprecedented. While analysis used to focus on only a few functions, today analysis focuses on every function. This starts with marketing and procurement to financial. But what is the reason for all of this happening now? The economic environment that businesses have to operate in is constantly changing. They don't just have to look at their ROI in a short time, but they also have to compete with other businesses with a very small time to market. In addition to all of this, businesses are forced to contend with the change of demographics and the new web technologies. The information in this audiobook was written with this fast-paced and complex volatile market in mind. The information will expand past the basics of data analytics into the more complex world of predictive analytics, regression technique, and discrete choice. 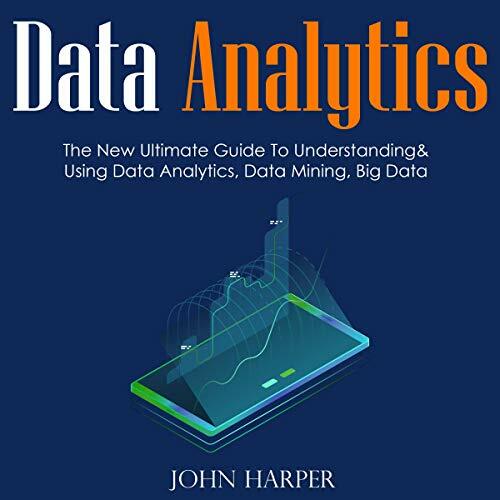 So you need to understand the fundamentals of data analytics before you start this audiobook. You don’t want to get left behind in this ever-changing world.